Written and directed by Mike Figgis (Leaving Las Vegas) in his directorial debut, Stormy Monday is a noirish thriller with major starpower. 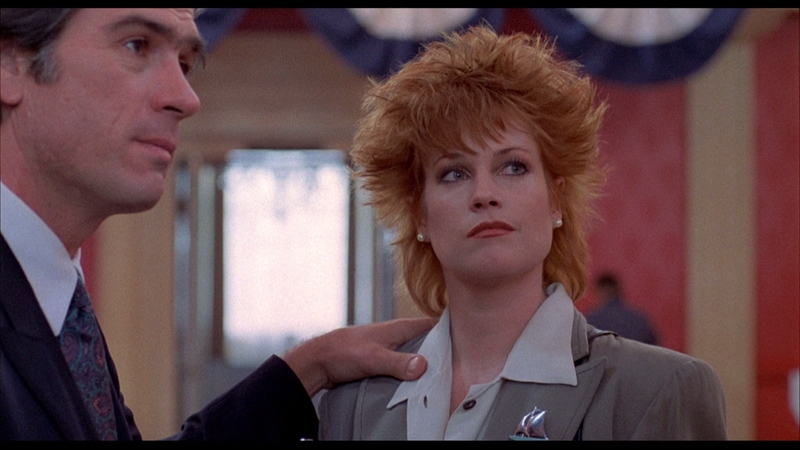 Melanie Griffith would soon become a household name with Working Girl after starring in Stormy Monday in 1988. 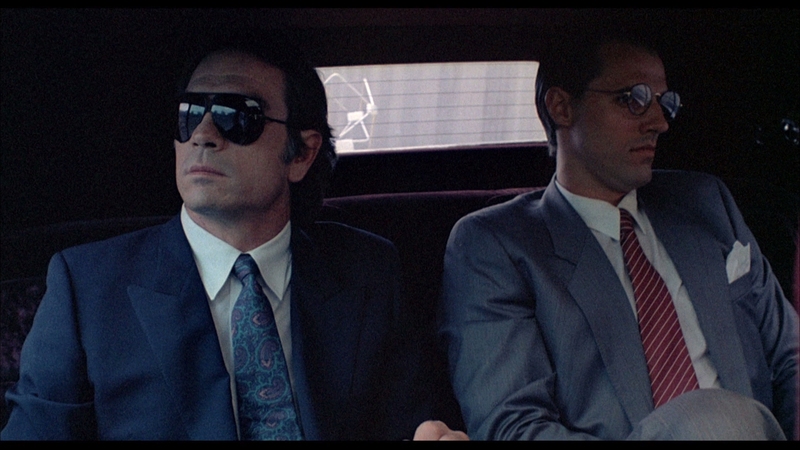 Tommy Lee Jones, Sting, and a young Sean Bean would be her co-stars in this messy romance that flirts with gangster violence. 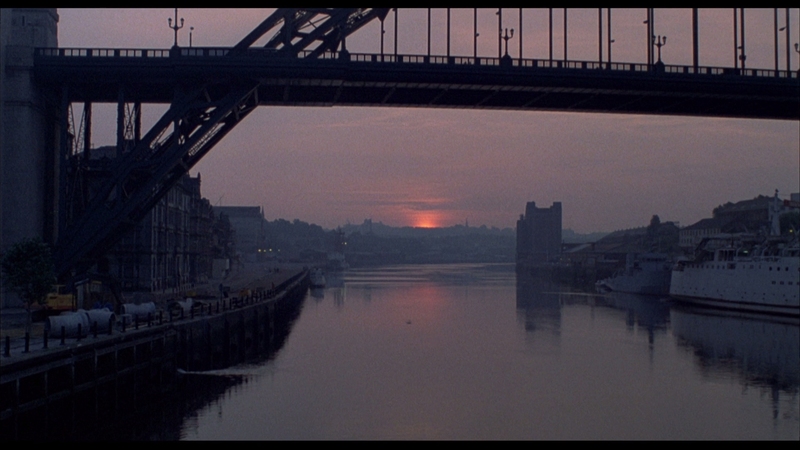 Filmed and set in Newcastle, England, the movie represented a homecoming of sorts for local boy Sting. One of the world’s biggest music stars in the 1980s, Sting acted off and on throughout the decade to good reviews. 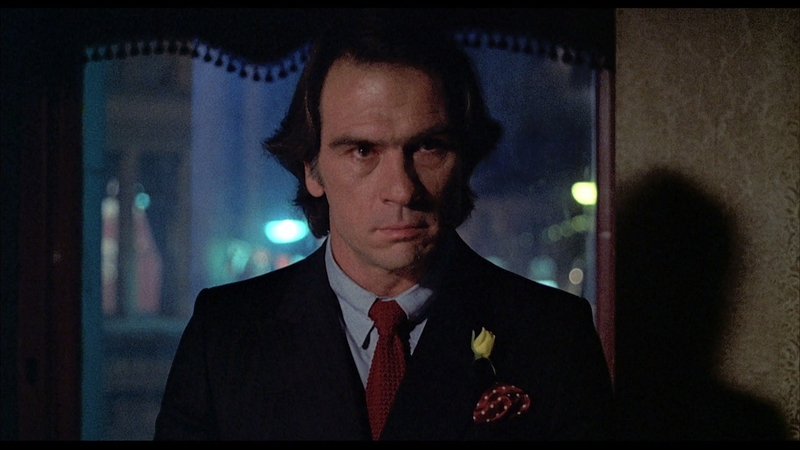 A corrupt American businessman Frank Cosmo (Tommy Lee Jones) arrives in Newcastle, determined to muscle his way into owning the entire town. On Cosmo’s payroll is Kate (Melanie Griffith), a sweet but troubled girl Cosmo loans out to business associates for “favors.” Kate’s new boyfriend Brendan (Sean Bean) ends up working for Mr. Finney (Sting) and accidentally overhears a plot to kill his new boss. The lovebirds will learn crossing Frank Cosmo is a serious mistake for them. The wealthy Mr. Finney owns and runs a local jazz night club which Cosmo wants by hook or crook. Stormy Monday is a crime thriller at heart that hearkens back to gritty noir gangster films like the original Get Carter. What makes it stand out from the crowd is the romance between Brendan and Kate. Their relationship is the one thing perfectly handled in the script from Mike Figgis and enough to make the film watchable, even as other elements don’t work out. The first act is confusing in plot and slow to develop, making the viewers fill in the blanks much later. The characters are introduced in haphazard fashion and it takes almost two acts before the audience can see where the movie is going. In fact, the plot summary written in the preceding paragraph will be immensely helpful in decoding Stormy Monday’s murky narrative. 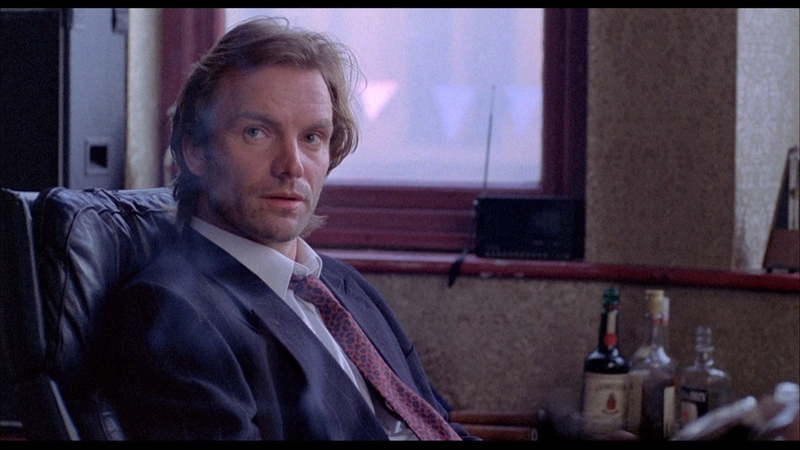 Sting is a bit of stunt casting but the music star had already proved he could act by 1988. He does a fine job as Mr. Finney, the jazz club owner that takes a chance on Brendan. Sting’s background as a musician first came in jazz before anyone had ever heard of the Police, so he fits right into the role. 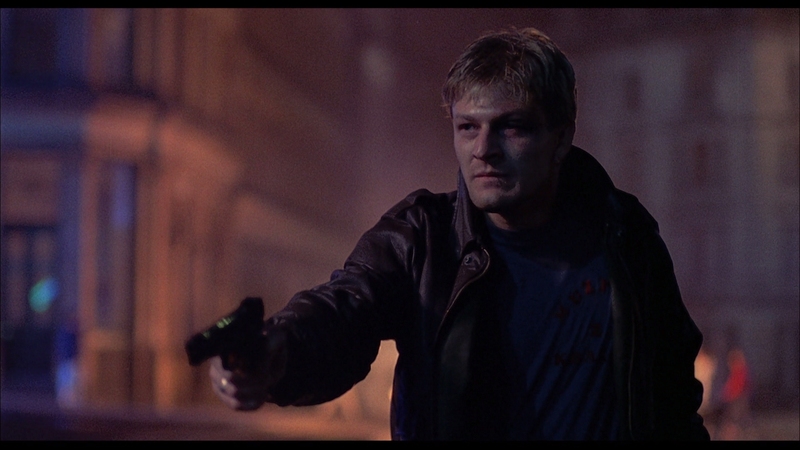 Sean Bean was cast because Melanie Griffith directly approved him in the role, but her instincts on the young actor were right on the money. Probably most known today for his role as Ned Stark on Game of Thrones, the young Bean has strong chemistry with Griffith in Stormy Monday. Bean’s Brendan actually becomes the most compelling character, a protagonist dragged into a criminal world he tried avoiding. Tommy Lee Jones can chew scenery with the best of them. His perfunctory performance as villain isn’t a highlight in the film, playing into well-worn cliches. There is a strong anti-American undercurrent running throughout Stormy Monday, best exemplified by Jones’ character. He’s wildly over the top as a “businessman” that is more gangster than professional. Stormy Monday is gangster noir that doesn’t light the world on fire. 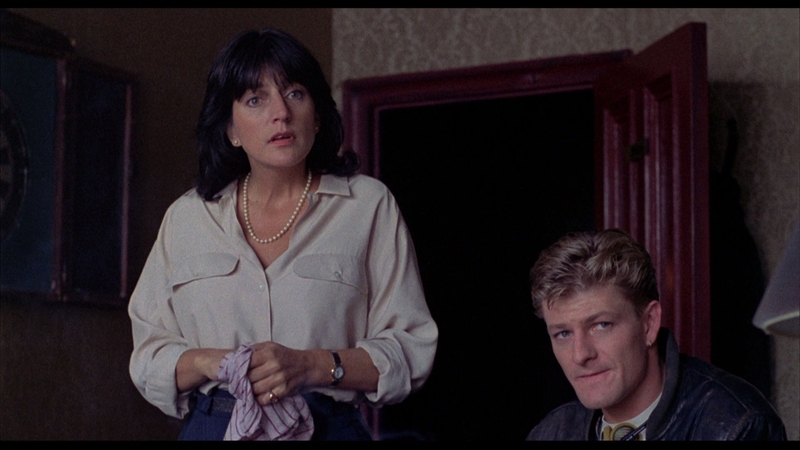 It remains watchable for a couple of compelling performances by Melanie Griffith and Sean Bean. I suspect the movie would have completely disappeared from memory if not for its star-studded cast. Arrow Video licensed Stormy Monday from MGM and apparently utilized MGM’s existing 2010 HD master. If you have seen older MGM catalog transfers, they weren’t great back in the day and time has only made them look more dated in picture quality. Stormy Monday’s older telecine transfer is soft with occasional processing. The elements are in fine condition but a new image harvest from the same elements would pull far more detail and clarity out of them. This is a serviceable HD presentation with some room for improvement. 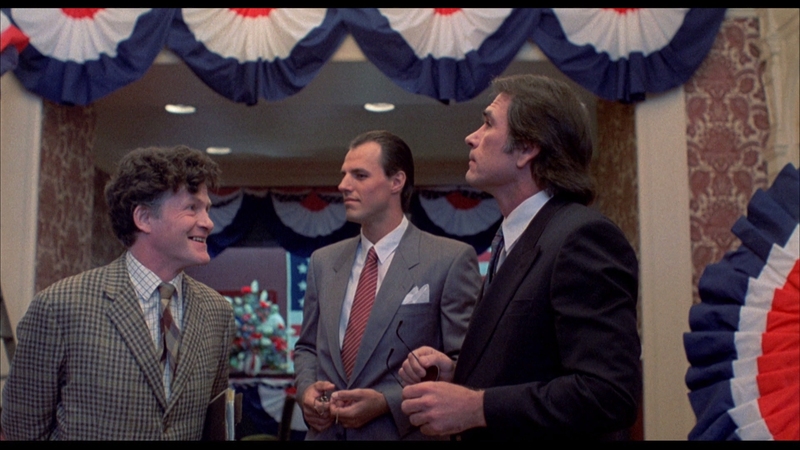 Arrow Video presents the film at its native 1.85:1 aspect ratio. The 92-minute main feature gets encoded in high-bitrate AVC on a BD-50. It’s a fully transparent encoding that captures the flaws of MGM’s transfer. The cinematography by Roger Deakins is best described as gritty for the noirish thriller. Colors are mildly blown out. The grain structure is fuzzy in appearance. A few scenes have crushed black levels, obscuring shadow delineation. The 1080P resolution has adequate clarity and definition. The 1988 film has never looked better on home video but there is little doubt a new transfer and color timing would improve things. Stormy Monday is notable for its heavy jazz presence in the plot. Director Mike Figgis actually provided the score and it’s a nice recording. More troublesome is an amateurish stereo mix that practically drowns out key dialogue in some scenes for the score and background music. The soundtrack is a prominent part of Stormy Monday but this is poorly balanced mixing. Arrow Video presents the original stereo mix in 2.0 PCM. It’s a primitive stereo mix with lots of hard panning. That does create a sense of separation. Optional English SDH subtitles appear in a white font. Stormy Monday from Arrow Video falls along their usual packaging design in this Blu-ray and DVD combo set. The set comes with a reversible sleeve featuring original and newly commissioned artwork by Jacey. First pressings include a booklet featuring new writing on the film by critic Mark Cunliffe. This isn’t the most loaded Blu-ray but improves on the bare-bones MGM DVD that came out back in the 2000s. The Blu-ray is coded for both A and B regions. Audio Commentary by director/writer/composer Mike Figgis – Figgis provides contextual background on his film in this discussion hosted by critic Damon Wise. It’s a fine commentary if you can handle Figgis’ laid-back British style. Just the Same? 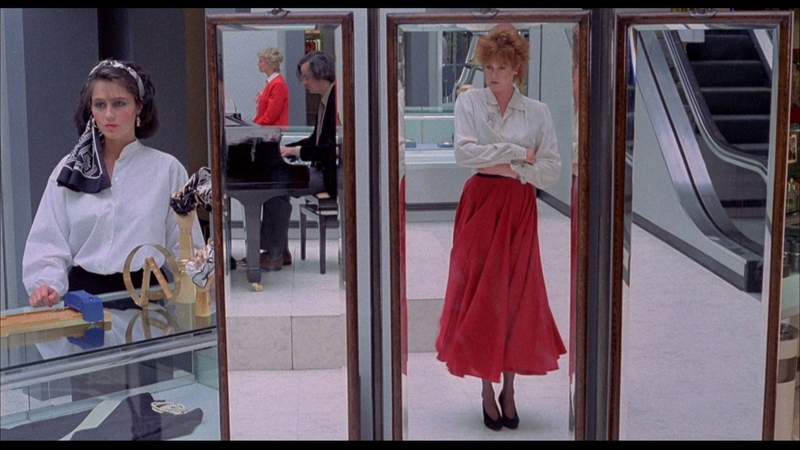 : Stormy Monday 30 Years On… (33:15 in HD) – A new video appreciation of the film by British film critic Neil Young (no, not the musician). 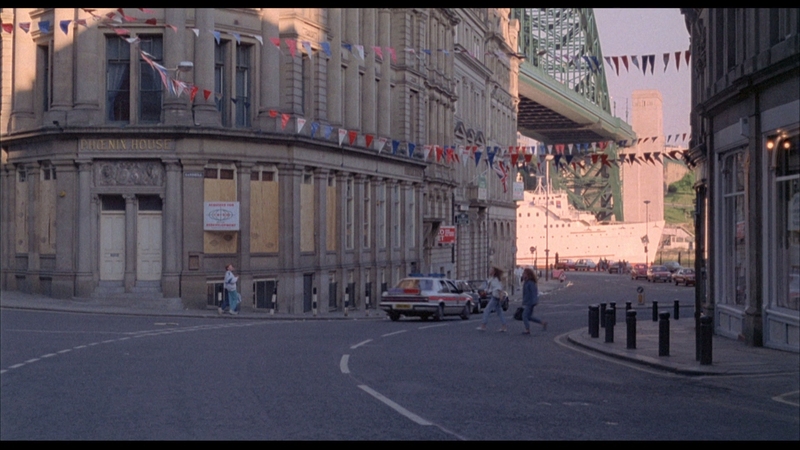 He goes over the film’s Newcastle roots, touring the film’s surviving locations. Young touches on the cast, how the film got made, and insider gossip from behind the scenes. 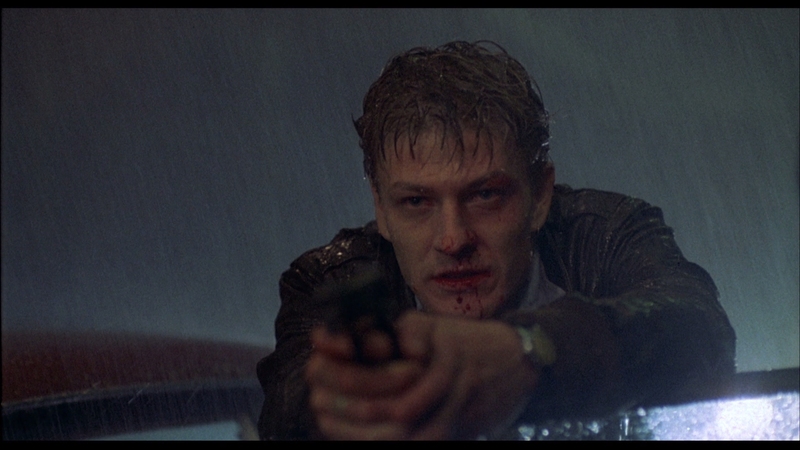 Apparently Melanie Griffith had final approval over Brendan’s casting and rejected Tim Roth before picking Sean Bean. Image Gallery (HD) – A series of still shots from the set. Full disclosure: This Blu-ray was provided to us for review as a pre-production screener. For information on how we handle all review material, please visit our about us page to learn more. A decent, if uneven, romantic thriller from director Mike Figgis that takes too long to get interesting. 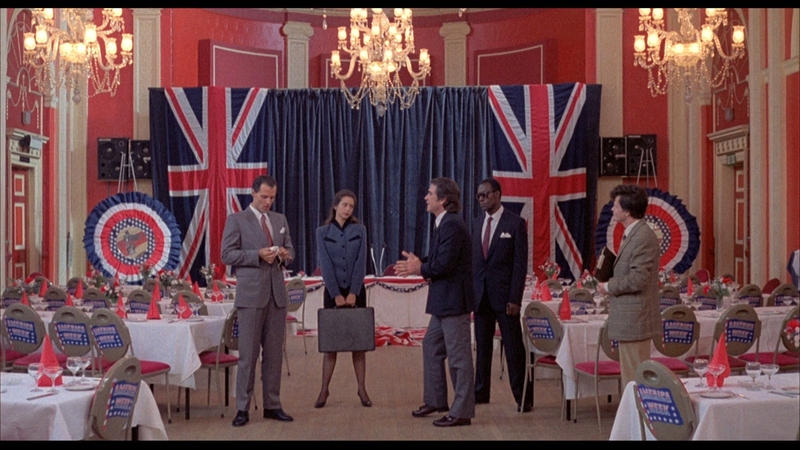 The unaltered images below are directly from the Blu-ray itself. For 16 more Stormy Monday screenshots, early access to all screens (plus the 6,000+ already in our library), exclusive UHD reviews, and more, support us on Patreon.